China is thinking big on indoor farming. China is investing significant amounts of effort into developing vertical farming systems to feed its burgeoning urban population. 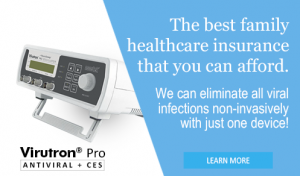 It aims to become a world leader in industrial scale applications of these systems. But isn’t China a large country that only recently was composed of peasants? Why does it need vertical farming (VF) and urban agriculture (UA)? Just look at the figures. Its population is projected to reach 1.5 billion in 2030, and agricultural land is diminishing due to natural disasters and poor land management at a shocking rate of 300km2/year. Cultivated land is down to only 0.08ha/person, nationwide, a figure which is just 40% of the world average. Meanwhile the demand for food is increasing, particularly from a growing, affluent middle class which demands different types of food. 80% of the population will live in cities by 2050, representing an incredible shift in 100 years. Furthermore the urban population is demanding pesticide-free, clean and fresh food. There’s also an aging agricultural worker population, with young people reluctant to work the land. 60% of farmers are over 50 years old and young people don’t want to farm. For all these reasons, partly-automated indoor farming is an essential feature of the future, and not just in China, because the same pattern is being repeated throughout the world. But in China they plan ahead and can move fast. Professor and Dr Qichang Yang works at the Research Centre for Protected Agriculture & Environmental Engineering (CPAE), part of the Chinese Academy of Agricultural Sciences, in Beijing. Speaking at the International Conference on Vertical Farming and Urban Agriculture last week, he explained that the Centre possesses no fewer than 40 research institutes –part of the Ministry of Agriculture – looking into aspects of indoor and vertical urban farming, greenhouse engineering, plant factories, hydroponics and energy efficiency. Yang told the conference last Wednesday that because of the climate variabilities in China their VFs need to be capable of producing food in winter in temperatures as low as -55oC. Climate control technologies being developed to achieve this include hydroponics and LED lighting, heat pumps and Active Heat Storage (AHS) such that when the temperature outside is -12 oC, inside it is 17oC. “Planned production, fast growing, automation and labour saving, no pesticide use, space optimization, and less climate effects are all benefits of VF,” said Yang. “Compared to conventional farming, a plant factory with natural solar light can increase productivity per unit area by between two and ten times. With artificial light this rises to 40 times and by adding vertical farming this goes to 1000 times,” Yang added. A 800m2 VF demonstration plant is planned in the centre of Beijing at the National Agricultural School. “On the second floor and in the cellar will be a plant factory, and on the first floor we will grow mushrooms,” he said. Commercial plant factories in China are mushrooming and catching up with the number in Japan. In 2013 they numbered 75, of which 25 used artificial light, and are distributed thoughout eastern China. Leafy vegetables grow in 30 days, when LED lighting is used. The overhead lights are moved back and forth over neighboring plant arrays to reduce energy costs. The distance of the plants from the light can also be adjusted for the same reason, being increased as they grow from 10cm to 30cm. “Stereoscopic culture and nutrient solution management with control systems are deployed to supply nutrients. Plants are bathed in light continuously in the days before harvesting to reduce the nitrate content in the leaves,” said Yang. “We’re also researching column cultivation in natural light using modular units that slot together. Water and nutrients are fed down the center of the columns. 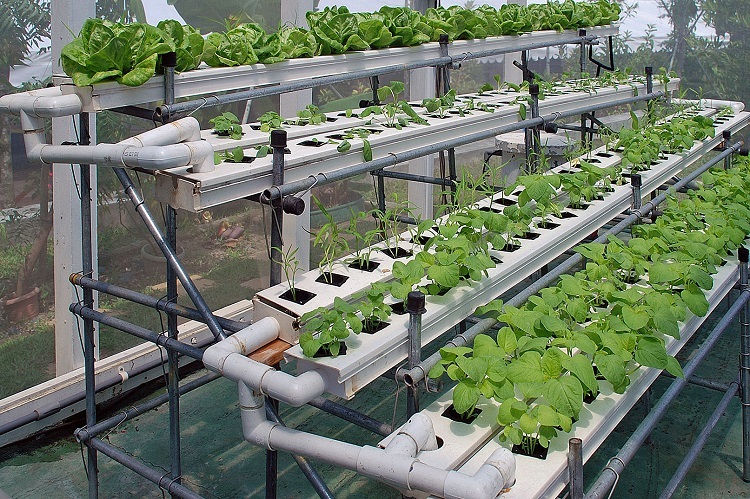 Another technique is vertical pipe cultivation, where the nutrients are fed through pipes by gravity. A third technique is three layers stacked in the greenhouse in shelves. In some indoor spaces they are even experimenting with growing fruit trees. The teams are producing impressive results. 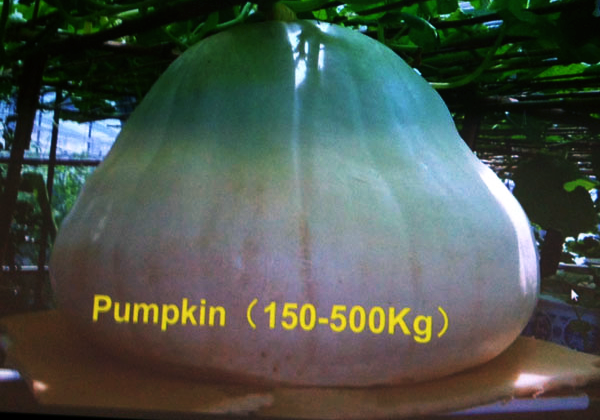 Yang caused a gasp of astonishment in the audience with an image of a pumpkin weighing in at 500kg (above). 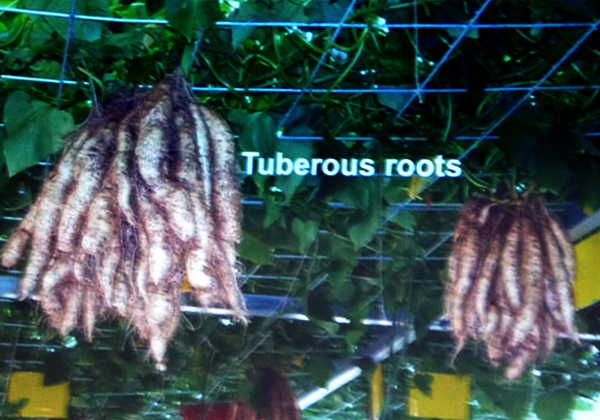 They are even growing tuber vegetables in the air, their roots dangling from racks above ground, in a process invented by CPAEE in 2005. Sweet potatoes in this system can be harvested individually and repeatedly from the plant without lifting the entire plant. The team has succeeded in doing this with one soilless plant that is 10 years old and has produced a scarcely believable 500 potatoes. 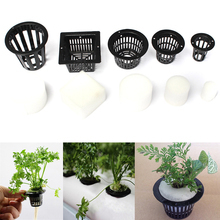 As for applications on the street, Yang illustrated his talk with an eco-restaurant in a greenhouse with wall cultivation so people can harvest a plant and then eat it, and an eco-hotel with the same approach that also grows food on the roof. Yang finished off by demonstrating the concept of a low carbon intelligent system that may grow vegetables in your kitchen: a domestic plant factory which is being developed; and an ‘angel garden’, hydroponic or e-garden, a pleasantly decorative addition to a domestic living room, whose the LED lights also illuminate your home. A model of a domestic aquaculture unit that grows fish for consumption (or pleasure) and vegetables, on sale now and displayed at thre conference. This is less sophisticated than the one displayed by Yang, which included lighting and was very stylish. It may even include fish that can be grown and eaten. While much research is being conducted also in the USA on indoor farming, for example at MIT Media Lab, there is little doubt that with the high level of resources that the Chinese state is putting into this, China will soon possess more indoor farms per head of population in cities than any other nation. 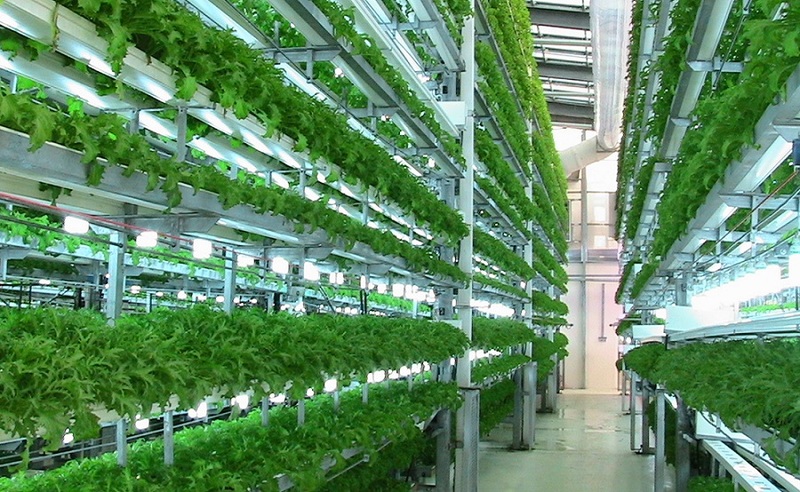 Whatever you may think of indoor farming, it’s on the horizon, big time. 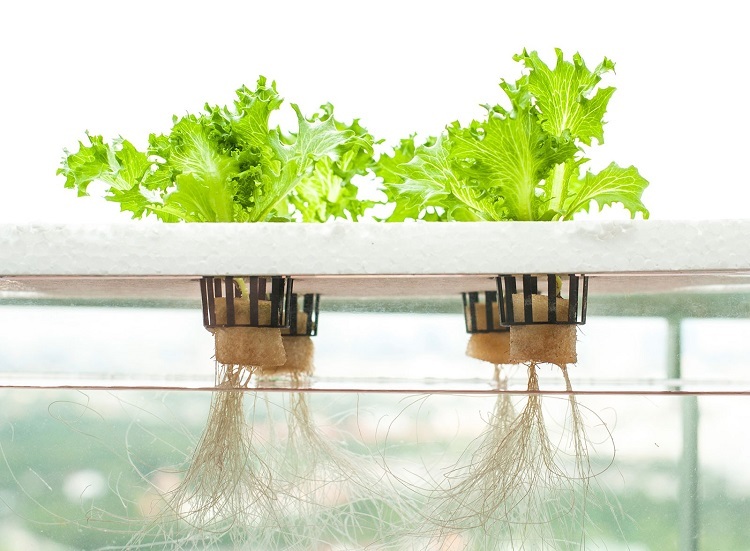 Vertical farming can be implemented in a variety of ways, whether in an industrial scale, or even at home. Next post: Treating Cancer with Sodium Bicarbonate – Good Idea or Not?